Now Playing on Broadway Art Book! 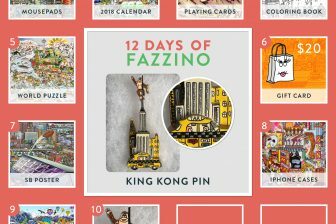 On the Eleventh Day of Fazzino, we offer to you…20% off the most recent Charles Fazzino art book titled “Now Playing on Broadway”. 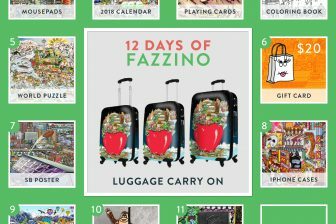 The perfect gift for the Fazzino fan. 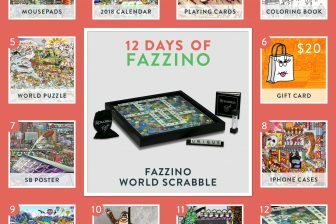 You can even order it with a personal dedication by the artist. 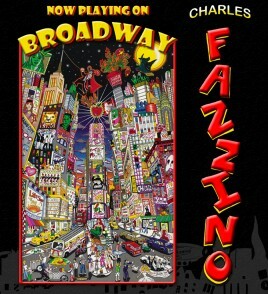 With more than 100 pages and 100 art plates, “Now Playing on Broadway” features most of the Fazzino art collection created between 2007 and 2010 . Question of the Day: Who played the Grinch in the 2000 film? ?